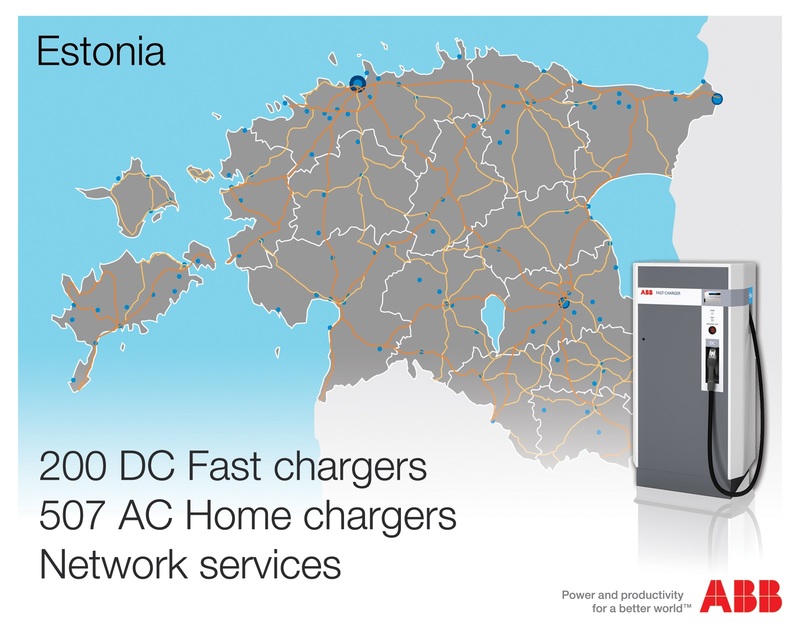 ABB today announced it won a tender offer to build a network of 200 electric vehicle (EV) fast-charging stations throughout Estonia. The order from the Estonian government is Europe’s largest EV charging infrastructure contract to date and creates the world’s first fast-charging infrastructure with full nationwide coverage. The order was booked in the fourth quarter. ABB will start deliveries in the second quarter and plans to have all Terra systems direct current (DC) chargers running by the end of this year. As part of the five-year contract, ABB will also deliver network operating support services for the chargers in the field and the backbone IT architecture. ABB won the order together with its partners G4S and NOW! Innovations, which provide first-line customer support and payment solutions, respectively. The growing number of electric vehicles is driving a global market opportunity for charging solutions including sophisticated monitoring systems and software to support the electric grid. ABB’s DC chargers have been used commercially since May 2010 and reduce charging times from eight hours, using regular alternating current (AC), to as little as 15 to 30 minutes. 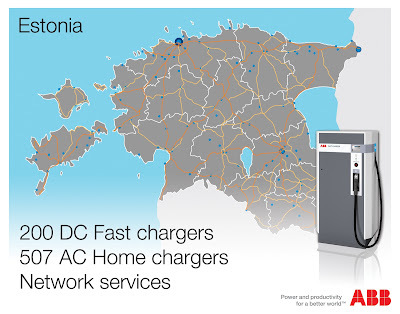 The Estonian government aims to provide fast charging in all urbanized areas with more than 5,000 inhabitants. On main roads they aim to install a fast charger every 50 kilometres, creating the highest concentration of DC chargers in Europe, by far. The investments in electric mobility are financed by the Green Investment Scheme funded by the export credit agency KredEx as part of the national government’s plan to reduce carbon dioxide emissions. Earlier in the year, the Estonian government started providing 507 Mitsubishi i-MiEV electric cars to social workers around the country. In September, ABB already won the order to install AC chargers at municipality offices. In addition, Estonia offers subsidies of up to 50 percent for private EV purchases.